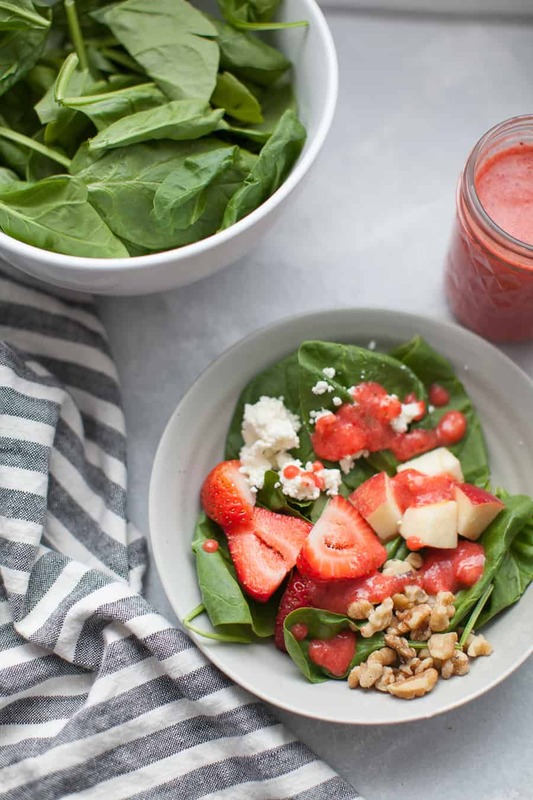 Add this Strawberry Vinaigrette Spinach Salad to your regular diner rotation! 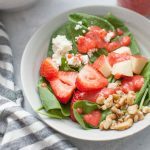 This salad has a spinach base, topped with walnuts, goat cheese, fresh strawberries, diced apples and finally tossed in a homemade strawberry vinaigrette dressing. 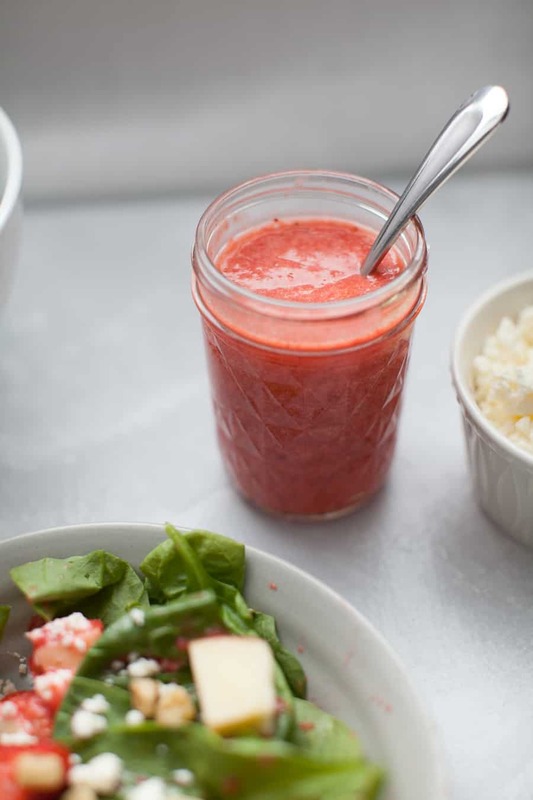 The dressing is a perfect balance of sweet and tangy. This salad is perfect for any time of year, but especially satisfying for summer and fall! This blog post was originally published as a guest post for my friend Erin at The Speckled Palate when she had her first daughter. 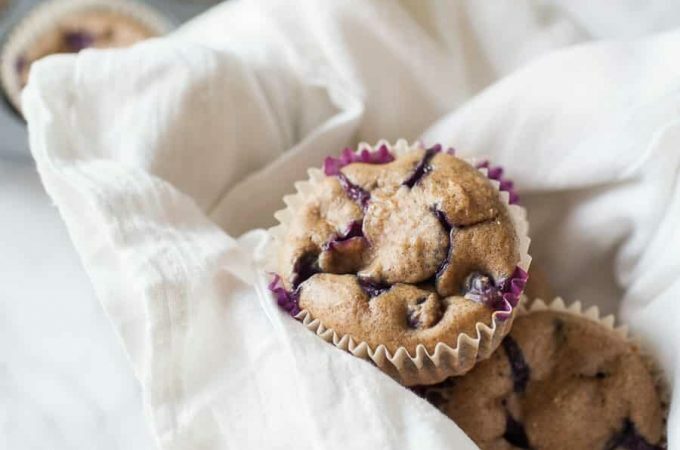 Both of our blogs and styles have evolved and grown since then, so this recipe was in need of a refresh! I also reworked the salad dressing for this recipe and love it even more now! Salads are still a new thing for me. I grew up really not eating anything wholesome and when I finally did learn to like salads a little, I always chose a caesar salad. Then as things evolved even more for me, I started to enjoy spinach salads. Still to this day, when given the choice, I’ll choose a spinach base for any salad. I think part of it is I enjoy knowing that the base of my salads will always taste the same, so therefore I can switch things up in the salad toppings department. I have two departments of salads that I like to make. Sweet and savory. 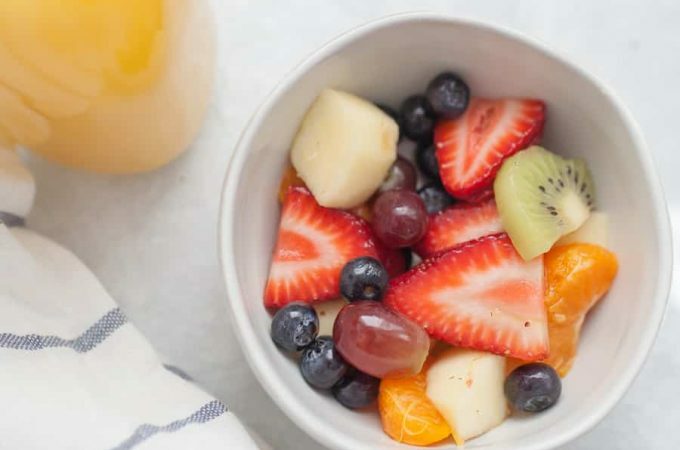 “Sweet” is a loose term for a salad, but basically when I want a sweet salad, it’s going to have fruit on it, a yummy homemade dressing and probably goat cheese because there is nothing better than crumbled goat cheese on a salad. The savory salads will usually be topped with veggies and feta or shredded cheese and I might use something like balsamic or Italian dressing. I’m on the fence about something on the topic of salads though. Maybe you can help me decide by commenting below. What makes a salad the best? Is it the toppings or the dressing? Is it both? For this salad, it really is hard to choose which makes this salad just so good. 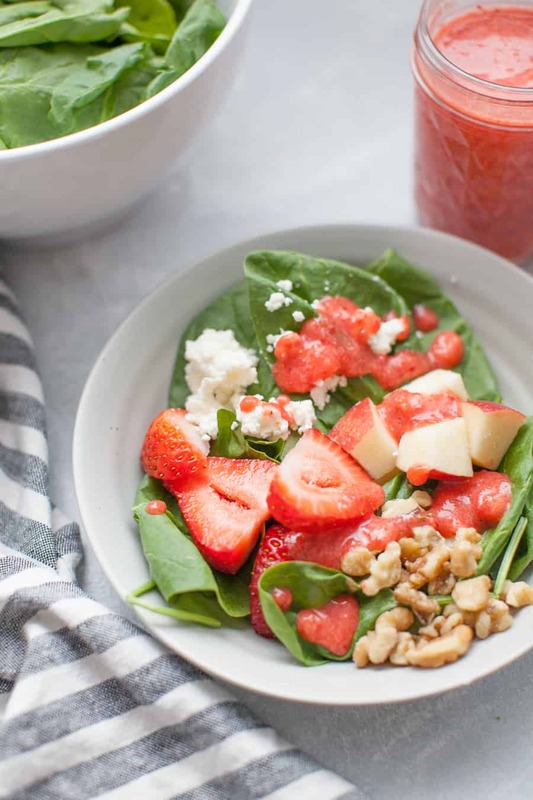 I really think it’s the combination of all the textures, the sweetness of the fruit with the balance of the more savory flavors from the walnuts and goat cheese, all brought together by a sweet but tangy strawberry vinaigrette. Mmmm. On the topic of the vinaigrette. Let’s talk homemade dressings real quick. What’s the point? Why use a homemade dressing instead of store bought? Well, there certainly are occasions for both. But when I can, I always try to make a dressing homemade. The two main reasons I prefer homemade dressing to store bought is one, so you can know exactly what is in it and control the flavor more, and two, it’s much fresher! Plus, I always think making things homemade gives you a huge boost of confidence in your cooking. How do you make homemade salad dressing? 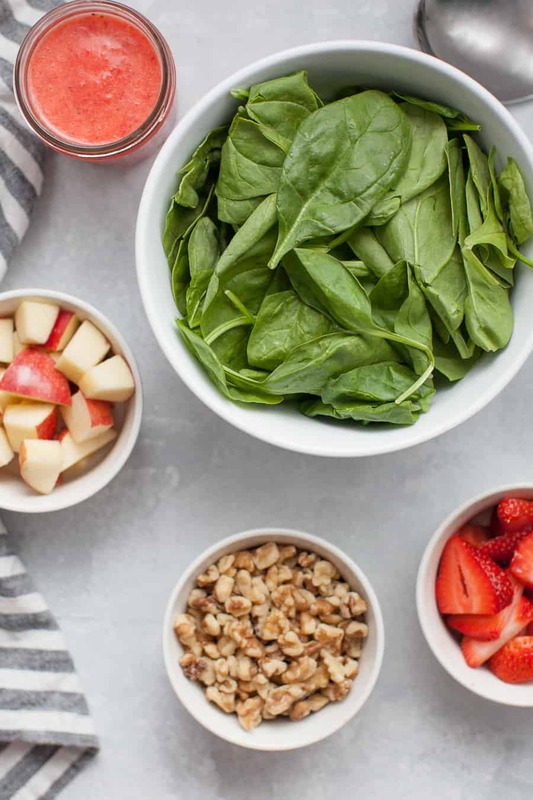 Homemade salad dressing is usually made with some combination of an oil, an acid (either vinegar, lime or lemon juice), and something to add flavor such as spices or fruit. What is in a vinaigrette dressing? Typically a vinaigrette is 3 parts oil (olive, avocado, grapeseed, or another high quality oil) to 1 part vinegar (apple cider, white or red wine, rice or sherry vinegar). Then extras like spices, fruit or fruit juice or herbs to add flavor. How long is homemade vinaigrette good for? The shelf life varies, generally vinaigrettes can be stored in an air tight container for up to two weeks. 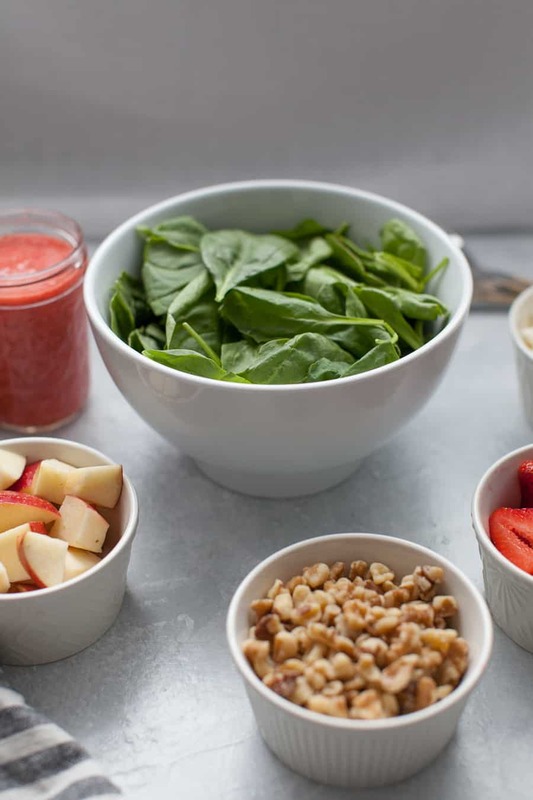 If you are using fresh fruit, herbs or dairy in the vinaigrette, dressing will keep up to 1 week. glass salad dressing jar or even a mason jar to store it. How can I customize this salad? That’s the best part about salads. You can customize them any way you’d like! Switch out the walnuts for pistachios, pine nuts, almonds, or even a candied nut. Switch out the spinach for another type of lettuce like arugula or mixed baby greens. 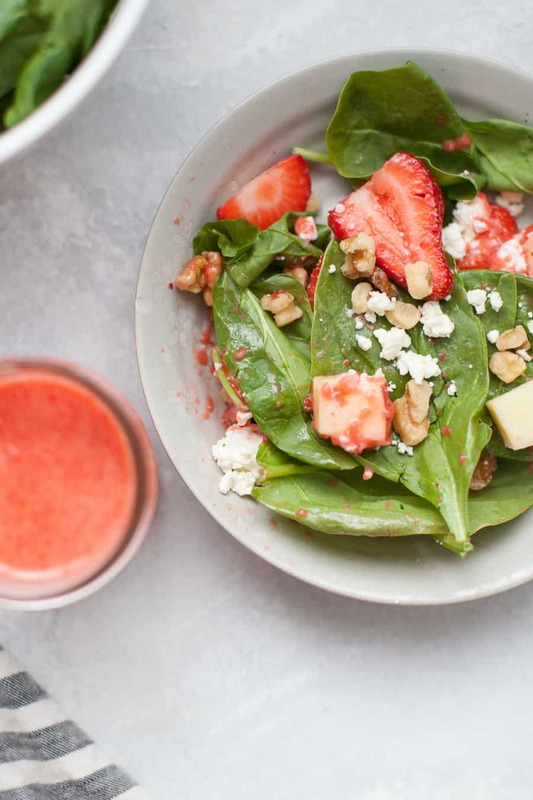 What should I serve this Strawberry Vinaigrette Spinach Salad with? This salad works well with a basic protein and veggies kind of dish. We love having it with Peach Balsamic Chicken or Pan Seared Chicken Thighs. It would probably be delicious on Pan Seared Apple Pork Tenderloin as well! For an appetizer, Pear Goat Cheese Crostinis sound amazing. 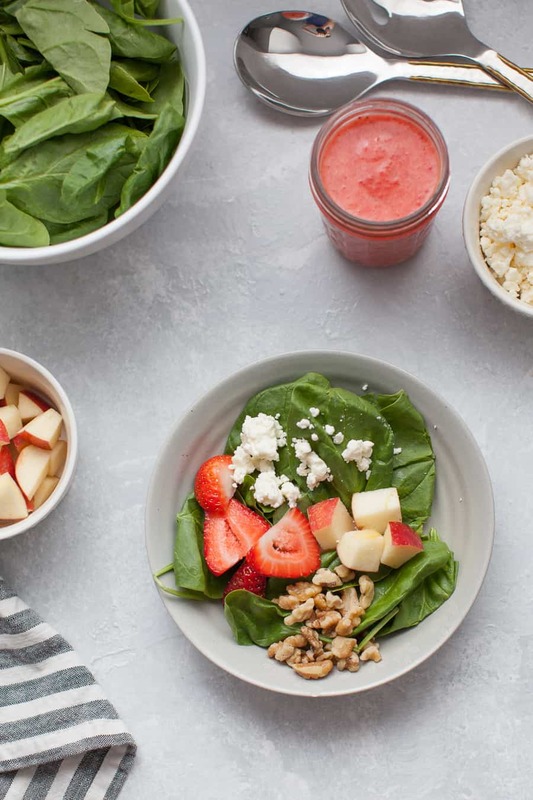 Alright, let’s make this Strawberry Vinaigrette Spinach Salad! What tools do I need? 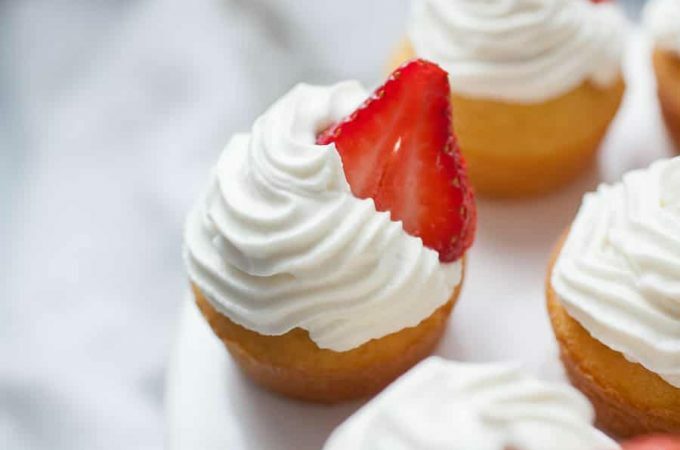 Combine ingredients in a food processor or using an immersion blender. In individual salad bowls or a large salad bowl, add all salad ingredients, except dressing. Toss with salad tongs. Pour dressing over salad right before serving or let everyone pour their own dressing on their individual salads. Store remaining dressing for up to 1 week in fridge in a glass salad dressing container. Looks so good! 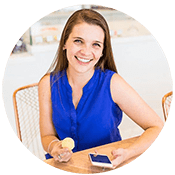 I just started liking salads last summer–so I am very new to them and I love finding new recipes! This looks delicious!! I’m not huge on spinach, but arugula would be a great swap-out! I’ve been making lots of salads lately, so this sounds wonderful! This is a family fav in my home! It is such a summer salad and I love bringing it as a side!! This salad is so light and fresh! The vinaigrette was very different from what I have made in the past, but was so delicious!! We made this salad for a quick and healthy lunch option and I’ll definitely be making it again! So glad you liked it! 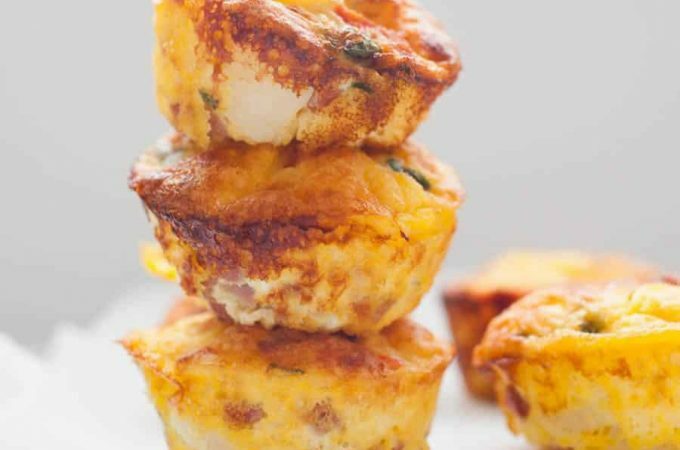 It’s so good with some chicken slices on top, too!